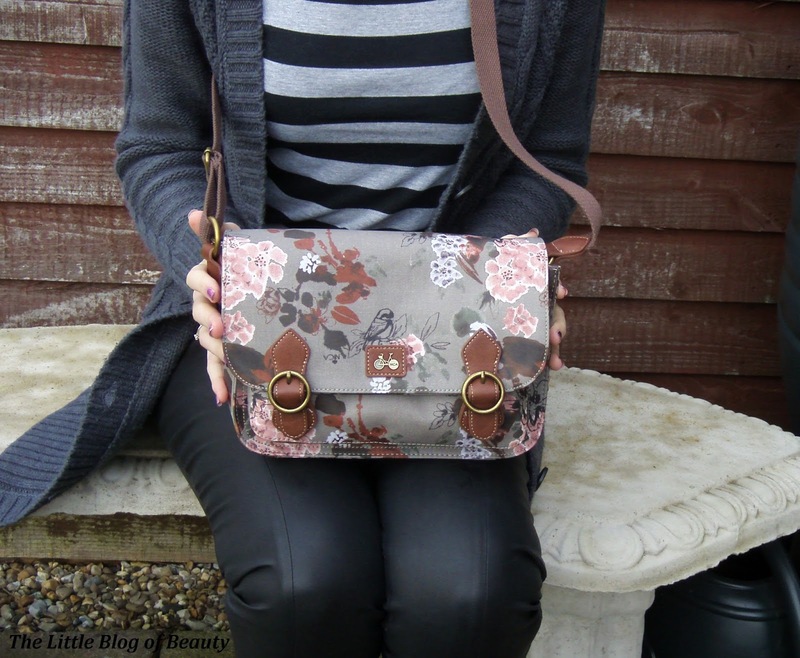 I am so pleased to finally have my hands on my lovely new Nica satchel. 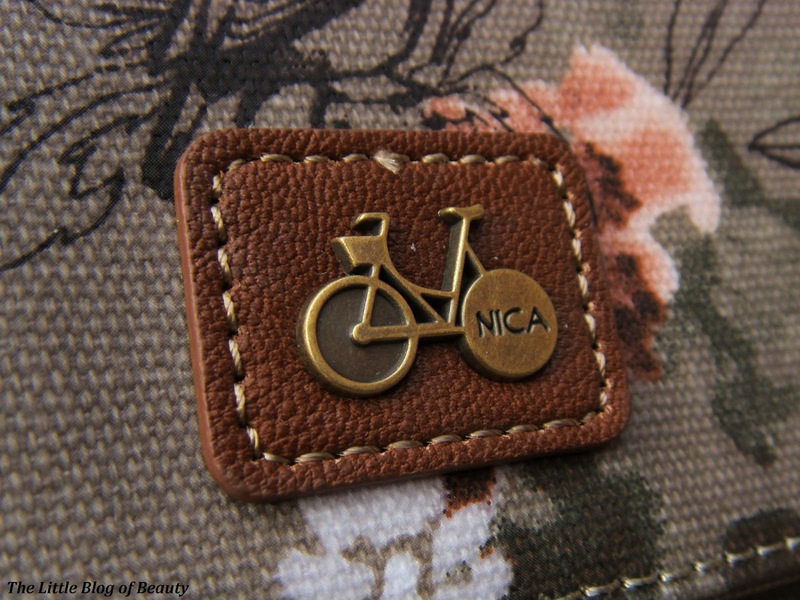 As I mentioned in one of my Clothes Show posts last year I decided to treat myself to a new Nica bag while I was there. Unfortunately I had to return it to Nica and I was only reunited with it about a week ago. I'll explain further below. When I got home and took the bag out of the packaging I discovered it had a small fault inside. There appeared to be a piece of thread under the lining on one side of the bag that unfortunately had been caught up in the stitching on the other side and it was pulling both sides of the lining into the middle of the bag. This meant the lining didn't sit properly and was using up some of the space in the bag. 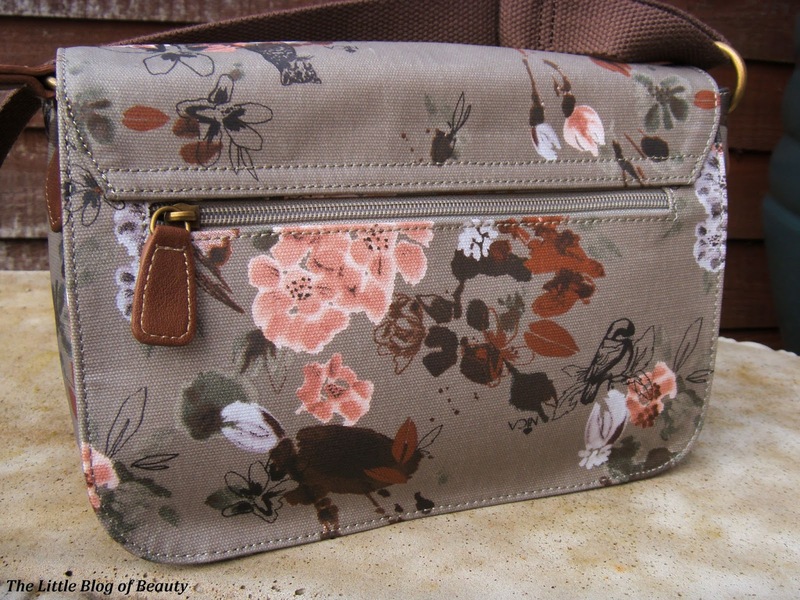 I tweeted Nica and they were amazing and within no time at all I had some freepost return details to return my bag to. As I returned the bag just a couple of weeks before Christmas I thought it was probably likely that Royal Mail/Royal Fail/Snail Mail (delete as appropriate!) 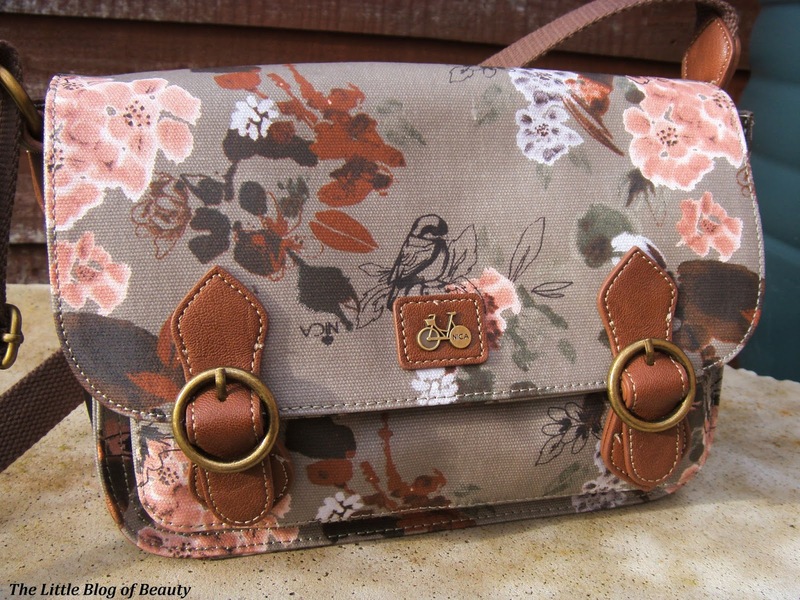 might not get it to them in time before Christmas, or if they did that Nica wouldn't have time to send a new bag to me. So I waited until the new year to double check that they had received it. When I did email Nica to double check I was told the replacement bag had been signed for nearly 3 weeks previously. As nobody had bought it round to me after nearly 3 weeks it looked like they might have just kept my parcel. Although I was given a name for who signed for the parcel I had no idea who they were or which house it had been delivered to, so Nica said they would send me another bag. When the second bag hadn't turned up a few days after Nica had said it should I contacted them again and was told that the courier had confirmed that they had delivered the parcel to my address and that it had been signed for by somebody with my surname. So again it looked like somebody had stolen my second parcel. Third time lucky, Nica asked for an alternative address to send another bag to so I gave them my boyfriend's address and fortunately it was delivered safely to my boyfriend's (although about 20 minutes after I'd left to go home and I wasn't returning for another week!). So anyway, finally last week I got my hands on my bag. Thank you so much to Nica for being so amazing and providing such good customer service and shame on whoever it was who stole my first two replacements. For as long as I can remember I've always favoured across body bags. 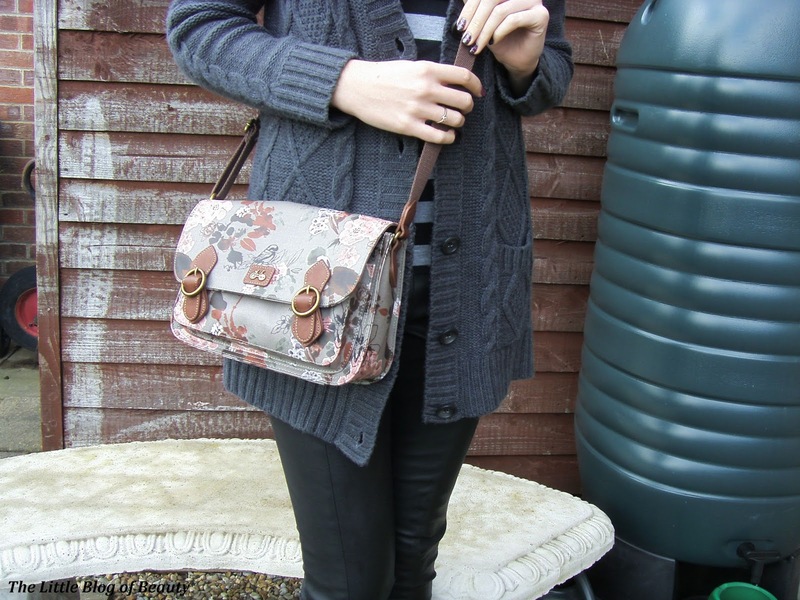 I just feel a bit silly carrying a bag round in my hand or on my shoulder and although I often hold on to the strap going across my front and have one hand over the front of the bag (so nobody can try and get in it) I like that I can have both hands free if I want. 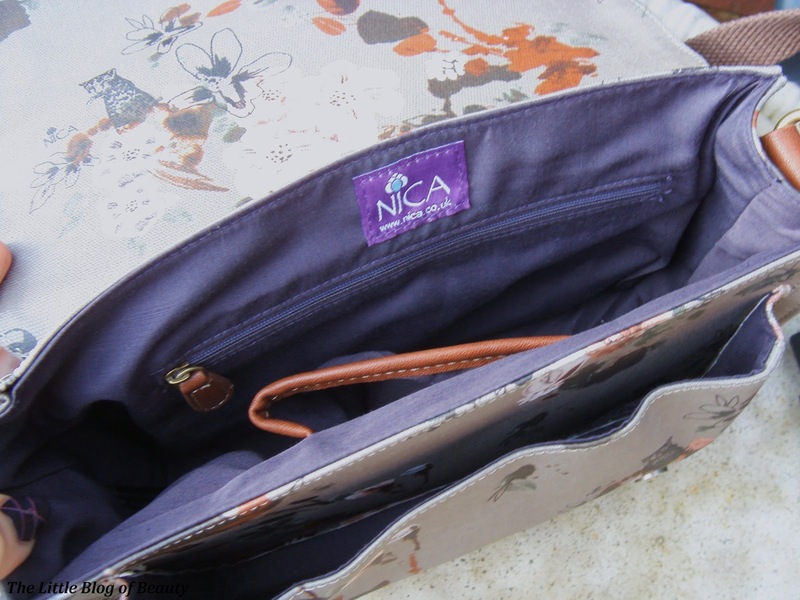 I've had my eye on Nica's printed satchels for so long so I was delighted when I managed to grab one from the Clothes Show for a bargain price. The dimensions of the bag are H28 x W29 x D6 cm and it features a large zipped pocket on the back of the bag, a smaller zipped pocket inside, a phone holder and a large open section/pocket on the front of the bag. 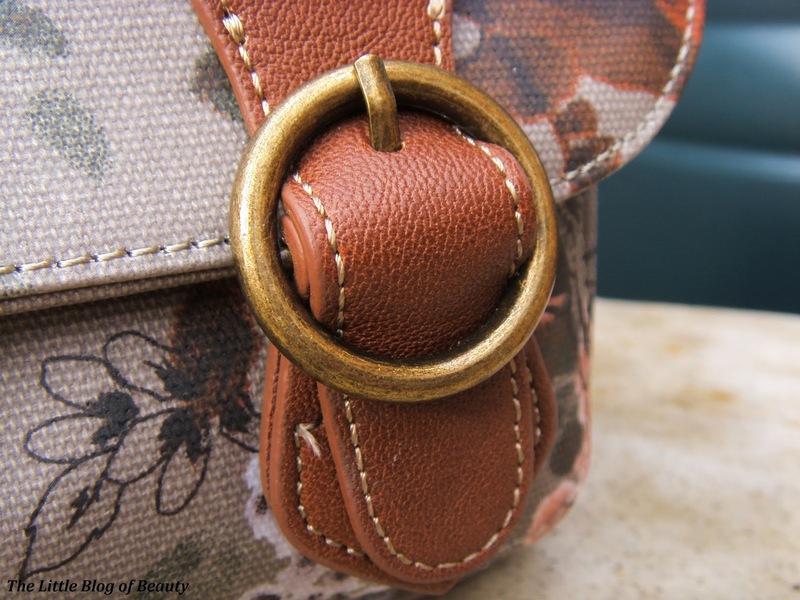 You don't have to undo the buckles on the front to get inside the bag as the whole buckle just attaches to the front of the bag with a magnetic fastening. 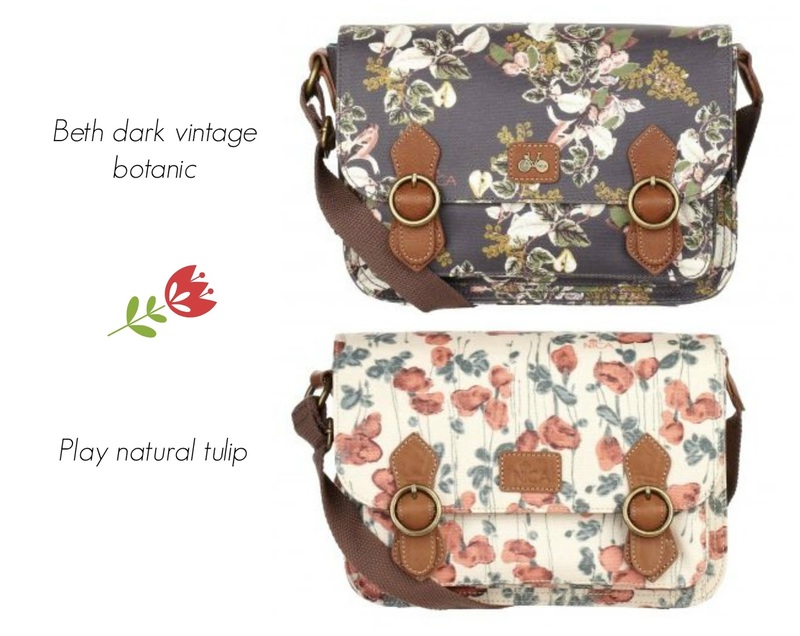 I don't believe this particularl print is actually available anymore as I can't find it on the website but you can currently get the same type of satchel in Beth dark vintage botanic and Play natural tulip, as shown above. Both are available from the Nica website for £49 each. 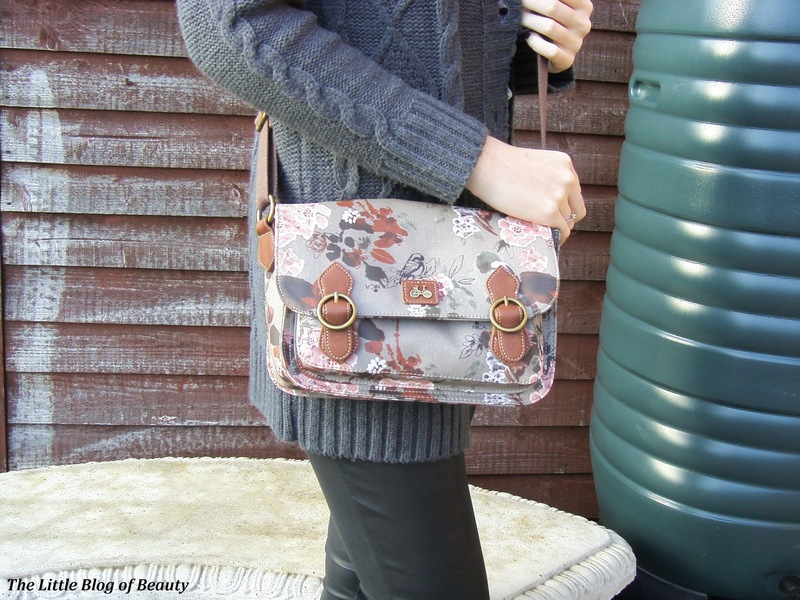 What type of handbag do you like to go for?